Copy cat Kneaders Easter cupcakes are so to die for! They melt in your mouth, and the frosting on top is scrumptious! Top them off with Cadbury eggs and you will be the bell of the ball. 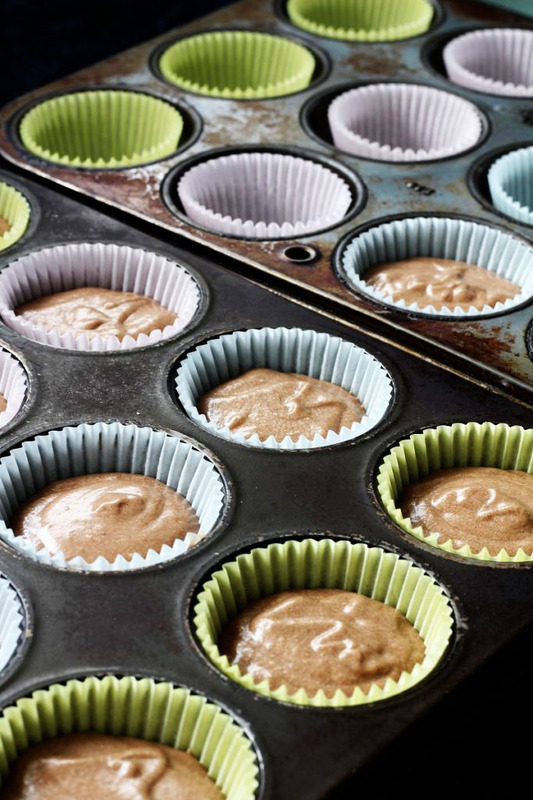 You could use a cake mix if you are in a hurry and do not want to put the time into making these from scratch, however, they are worth the little bit of effort and they work up so fast! 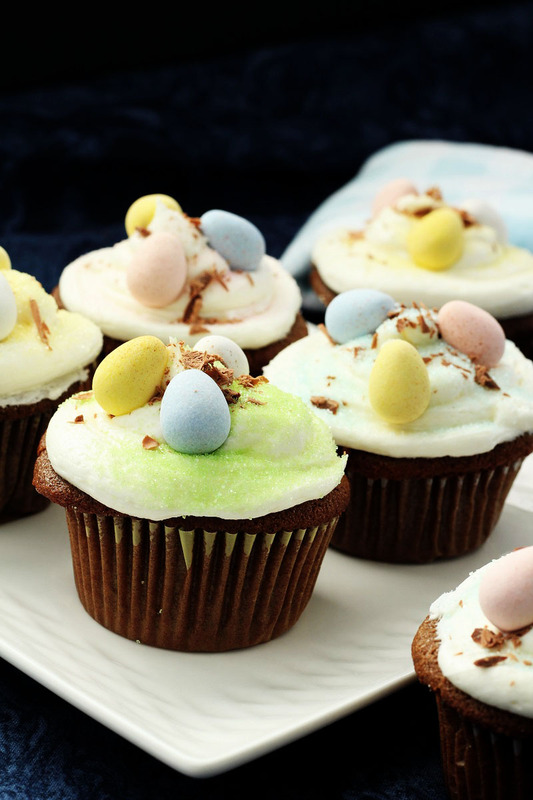 Easter is in just a few days, and if you are looking for the perfect dessert, why not try these copy cat Kneader Easter cupcakes? Their look reminds me a lot of spring! So pretty and pastel and delicious, whats not to love? My daughter went to Kneader Bakery the other day. Since she is living on her own, she is very careful with her money, (funny how that works), and she spotted in their display case the most amazing looking cupcakes ever! I was really proud of her, she resisted buying an Easter cupcake. However, she told her friends, “ya, my mom can make those”. So I did, and I should not have! “Why, you ask”? 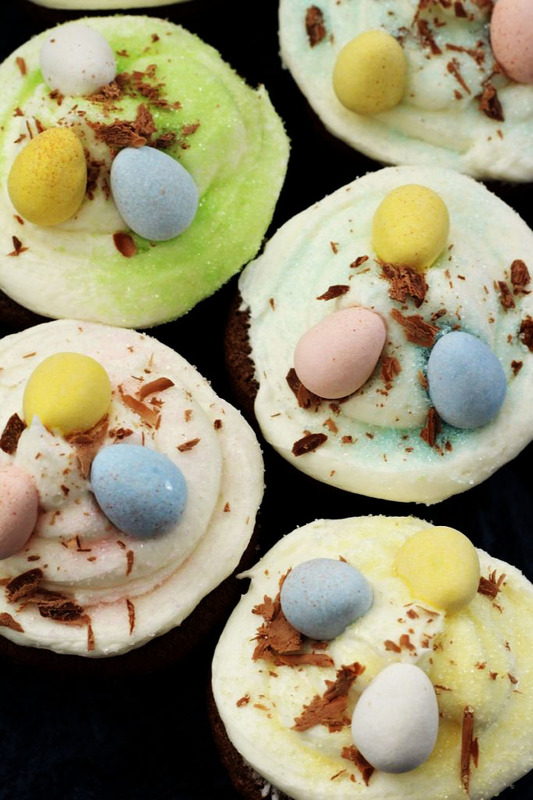 Because these copy cat Kneader Easter cupcakes are so delicious. Swirl that frosting on top, add some colored sugar, a pinch of grated chocolate and 3 Cadbury eggs!!! i know that I have been making a few too many recipes with Cadbury eggs, but it is that time of the year when everywhere you go there is another bag of those bad boys. And when they are on sale, what is a person suppose to do. Besides, my daughter asked me to make them and so I had to do that too! Now I have to find someone to take them to, because I do not want to eat all of them. Well, I do, but it would be better if I didn’t. Time to make brownie points with a neighbor. Ha ha. I hope that you enjoy this delicious recipe as much as we did, and I hope that you have a very Happy Easter!!! In a medium sauce pan combine the chocolate and water. Warm over medium heat until the mixture comes to a boil and the chocolate melts. Remove from the heat and let cool to lukewarm. In a mixing bowl, cream the butter and sugar until nice and fluffy. Gradually add in the dry ingredients, alternating with the buttermilk. Then on low, blend in the chocolate mixture. In two muffin tins, either grease or add papers. Fill each muffin cup to ¾ full. Cool in the pans for 5 minutes and then remove onto a wire rack. Frost cupcakes with Butter cream frosting. Add Cadbury eggs and grated chocolate. I sure hope you enjoy them as much as my family! And, I hope your weekend has been wonderful!! 🐣 Thank you Kelly. Charming name and the picture is definitely LOVABLE! Love just how much goodness is loaded into these cupcakes!! They are so delicious and very hard to resist. Thank you for your kindness and I hope your day is perfect!! !